Te Wiki o Te Reo Maori (Maori language week), usually the time for a few token efforts by Pakeha journalists and newsreaders, has become a nation-wide celebration. 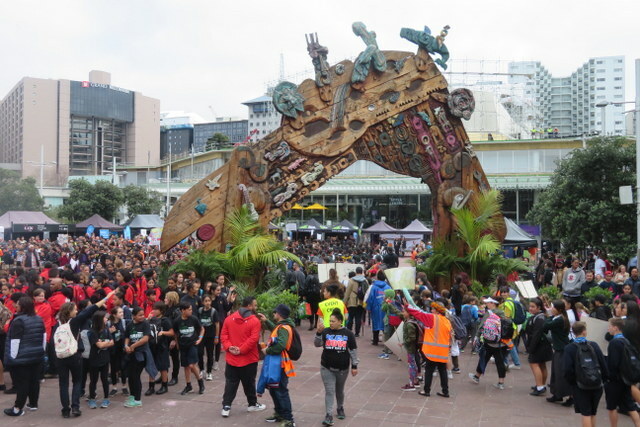 In Wellington, Auckland, Manukau, Rotorua and Gisborne, parades of thousands took to the streets. 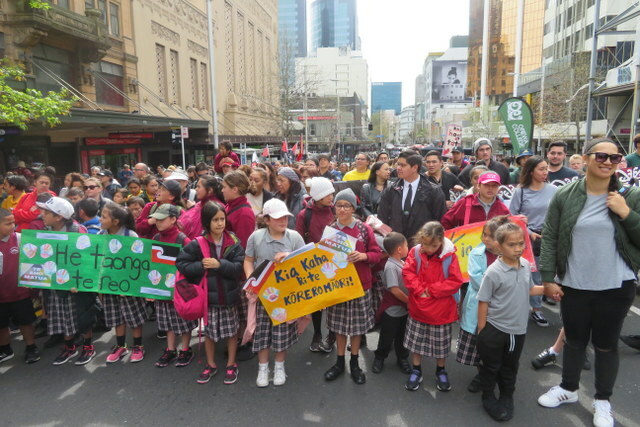 We joined ‘Hikoia Te Korero’ from Albert Park to Aotea Square on Thursday 13 September, surrounded by enthusiastic children and adults talking, chanting and singing in te reo. The crowd filled Aotea Square – people of all ages and cultures- and were entertained by Rob Ruha and others. a young Rotorua woman who was told not to speak Maori in her place of employment, Macdonalds, has won more than just the right to use her own language – Macdonalds are now planning a bilingual menu…. more and more Pakeha as well as Maori are asking for Maori language to be available in all schools, and both Labour and the Greens support this- as do 53% of the NZ population now! to implement this within five years!